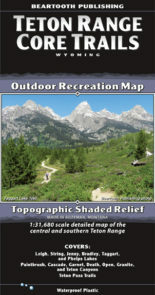 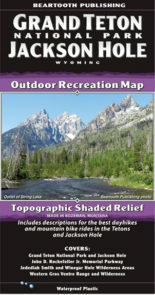 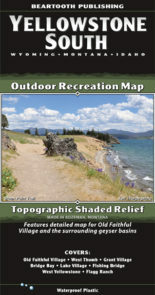 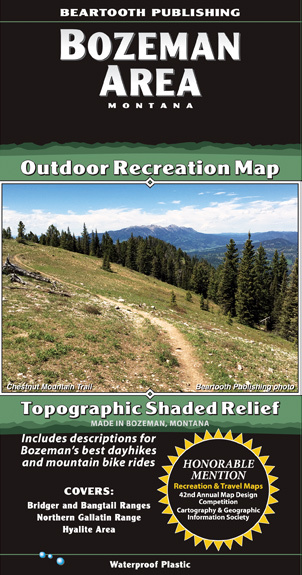 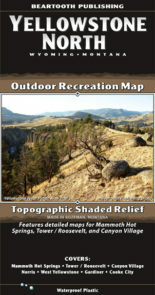 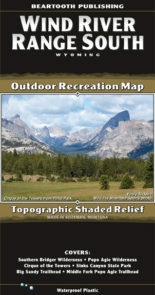 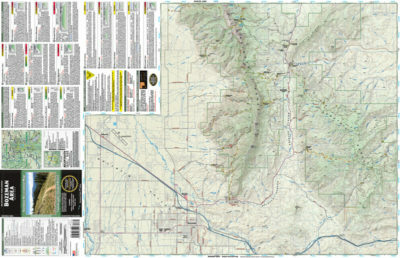 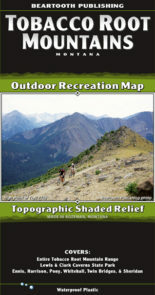 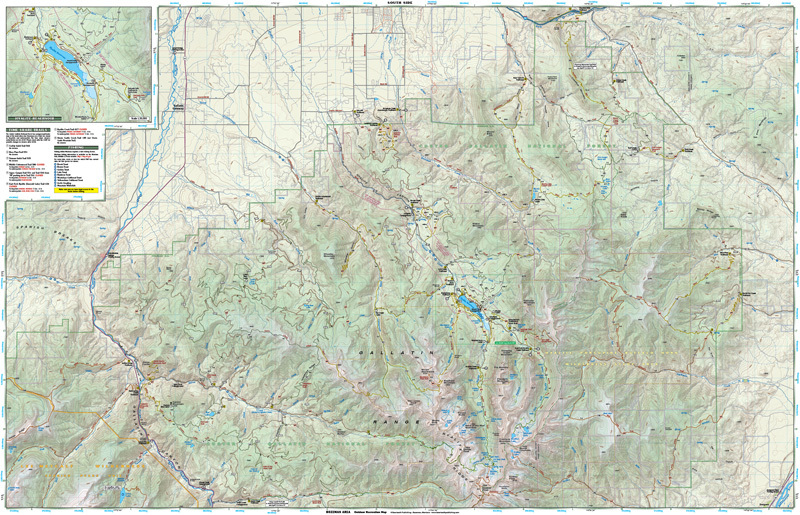 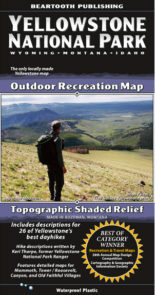 While our Bozeman | Big Sky | West Yellowstone map covers a large area and is the best overview map of the region, this map covers just the Bozeman area from Sacagawea Peak to Hyalite Peak. 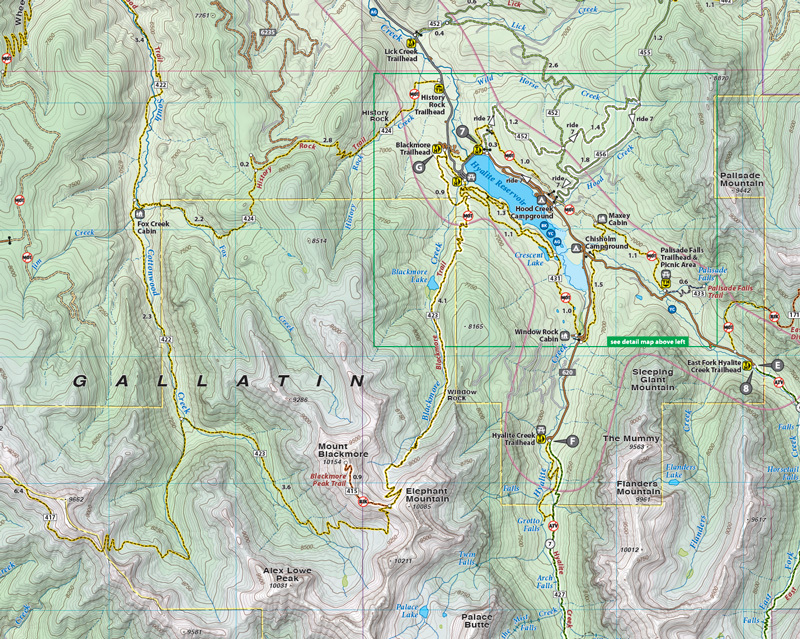 The larger scale (two times the scale of the overview map) is better for trail and backcountry use. 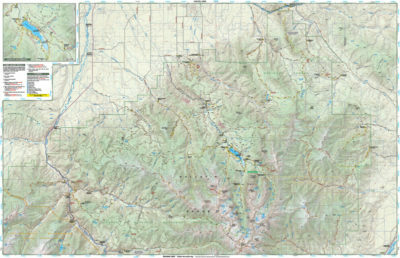 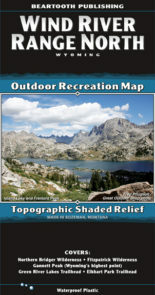 This map covers the Bridger and Bangtail Ranges and the popular Hyalite area in the Gallatin Range. 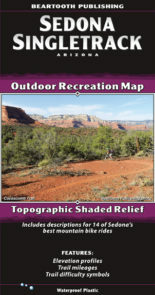 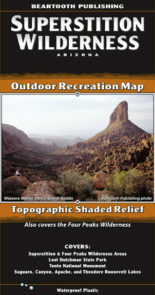 It includes descriptions for seven local hikes and eight local mountain bike rides.